Gaia Portal Scurrilous Energies Dissipate As Cosmics Infuse. By Interstellar. 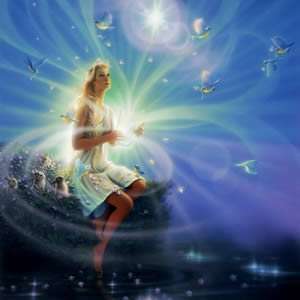 Below the Gaia Portal February 15 2019 message with our free interpretation in rough English. Scurrilous means to spread scandalous or defamatory news on others with the intent to damage their reputation. It seems a relatively complex sentence, I do not think we are talking about unmasking someone who claims to be something that is not, this would not be defamation but the search for truth. Probably these are attempts to attack those who are searching for the truth using anything available. One could argue about what the truth is and hence discern whether the subject involved is a LARP or not, so understanding what the situation is may be quite difficult. Probably the Cosmics, the Galactics, the Stellar Family are helping in this phase of discernment. This would seem to be the interpretation that makes the most sense, useless looking for conflicts that only create Loosh, defaming is never useful. I would close this first interpretation with a saying that clarifies a bit: “Today’s Fake News will be the Story of Tomorrow” (…maybe not). I could resume this sentence with a single word, Unity. It is a necessity in this phase to reach the goal, but despite this it seems that something is still missing. Sometimes the geographic and political boundaries of a nation are confused with “racism”, unfortunately many still believe that the fact that anyone can cross the border is a positive fact because finally there will be a Planet without Borders. It could not be more wrong! The manipulation of the Archontic System has created all this movement to put individuals against each other, the Territoriality of which Gaia Porta speaks is Etheric, in my modest opinion, not physical. Light has no boundaries, barriers or borders. As long as we are anchored in the 3D we will have physical boundaries, when we’ll take a step forward towards the full 4D these borders will fall as each of us will have clear who we are, we will have peace and prosperity and these biblical migrations will only be a memory. I do not think we are talking about objects and people that rise from the ground, not yet, I think we speak of raising the Vibrational Frequency. With the flow of truth that continues to increase, with the MSM losing power by the second, the percentage of the population that is awakening from artificial induced sleep increases logarithmically. The reason why Gaia Portal talks about Maters / Mothers could have various meanings, one could be the Mother Goddess, the soul of Planet Earth, Gaia, interpreted with the end of the systematic destruction of the Feminine Energy. But it could also be Motherships. Whatever interpretation you want to give what matters is the Telepathic increase, dreams, waking dreams, very powerful premonitions, Akashic Records, something that is now happening massively even though many do not yet give these things the credit they deserve, for one reason or another. This entry was posted in Uncategorized and tagged Eireport, Gaia Portal, love. Bookmark the permalink.